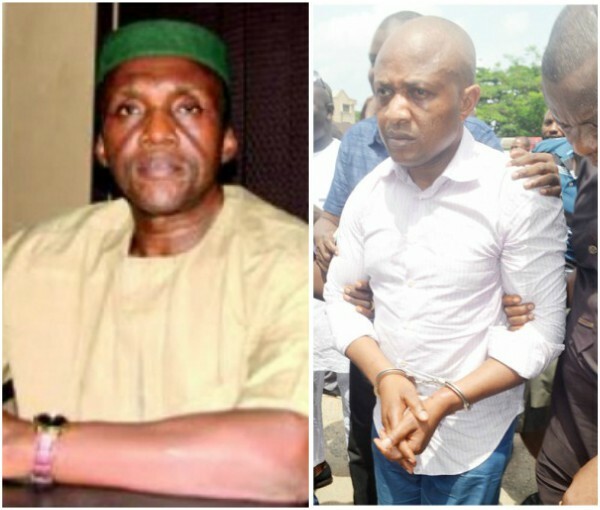 The victim who escaped from billionaire kidnapper Evans' den, Chief Donatus Dunu, who is also the CEO of Maydon Pharmaceutical Company, Ilupeju, Lagos, has lamented that his life is in danger. Following the release of Evans' men suspected to have taken part in his abduction yesterday, Chief Dunu, whose escape helped facilitate Evans' arrest, told newsmen that his life was in danger. According to Vanguard, he said it was improper for either the police or the court to grant bail to suspects involved in such a high profile case where startling revelations of the leader of the dangerous kidnapping gang has continued to shock the world. That night, the Abakaliki man brought Indomine for my dinner. He told me to eat so that I will have enough energy to face ‘us at the canal.’ They later told me that canal was where they use to ‘bath’ their captives and I concluded that it meant where they killed their victims. They trumpeted this daily.